Transforming a dated space underneath the staircase into a striking powered took fresh-thinking and an eye for detail. 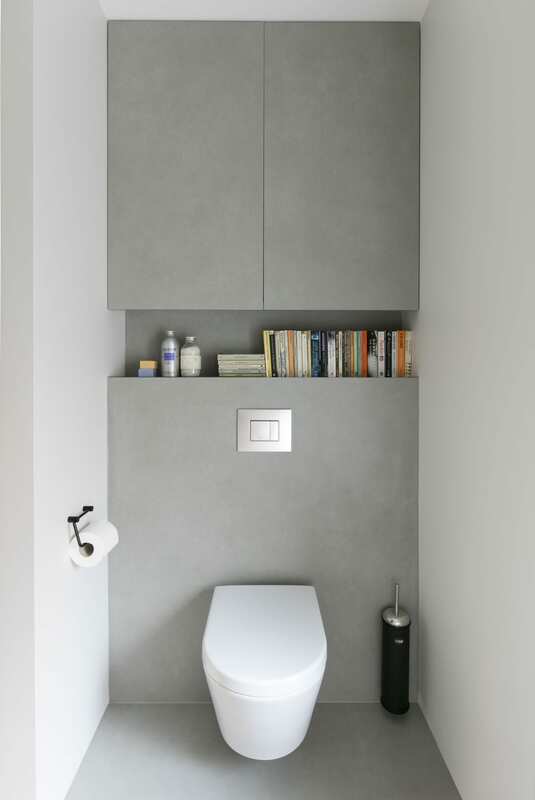 On the opposite side of the cloak room, a more sleek, polished look that provides a calming feel. We used a porcelain tile called Pietra Di Osso from Neolith. 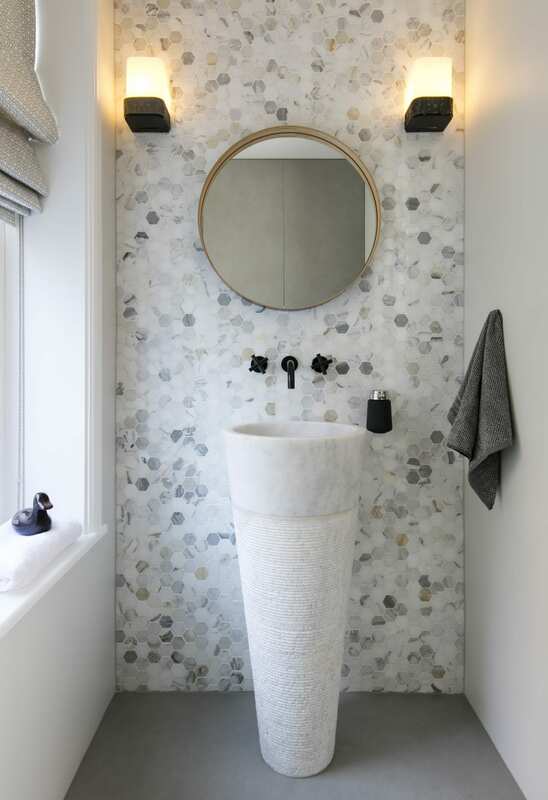 Floor to ceiling hexagonal Italian Calacatta polished marble wall tiles, from Mandarin Stone, sets the tone as a defining feature in this small cloak room. A round floor standing Calacatta Honed Splitface Apollo basin also from Mandarin Stone enhances the look further.